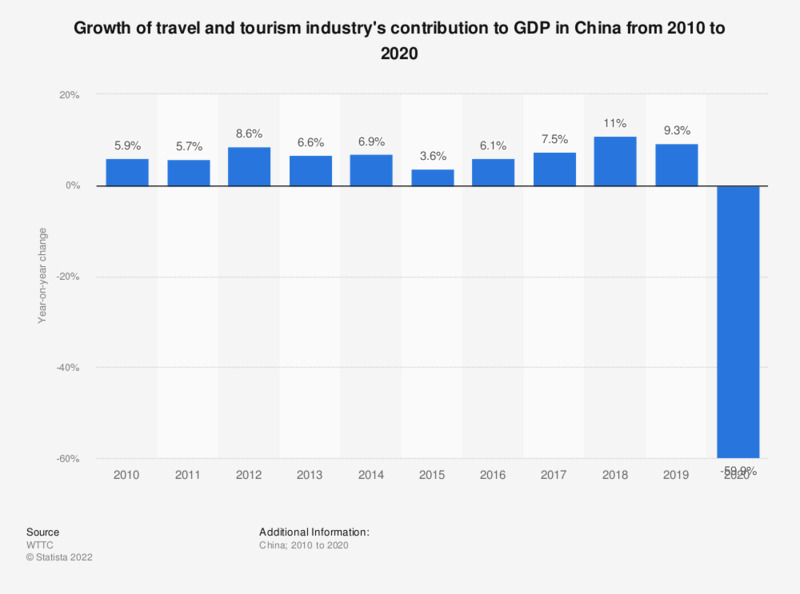 The graph shows the growth of travel and tourism industry's direct contribution to GDP in China from 2007 to 2018, with a projection for 2028. In 2018, the direct contribution of China's travel and tourism industry to GDP had increased by 6.9 percent compared to the previous year. Direct contributions cover visitor exports, domestic expenditure, internal tourism consumption, government individual spending, and purchases made by tourism providers (including imported goods). Which of these statements on travelling do you agree with? Which of the following, if any, have you ever had lost or stolen while traveling?